I am so in LOVE with the cushion cover I won from Arctic Strawberries that I want to make some matching covers to form a set. 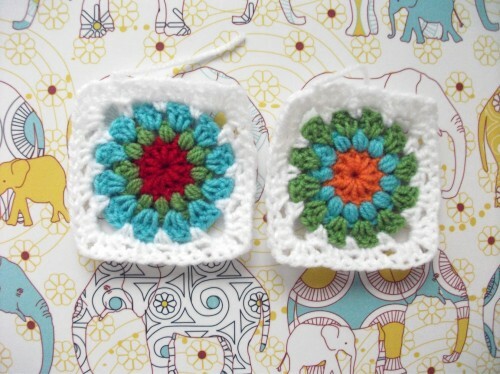 Now I need to whip up those granny squares and figure out how to do the joining. AND make a decision on the cushion backs: same as Inga or just continue with the circle grannies? It is too bad I can’t buy the same wool Inga used in the original, without breaking my bank-account :(. BUT these don’t look too bad, don’t they?